A simple and effective solution to storing your bike in a fun and quirky fashion. The Bike shelf is compatible with most frame sizes and bikes. 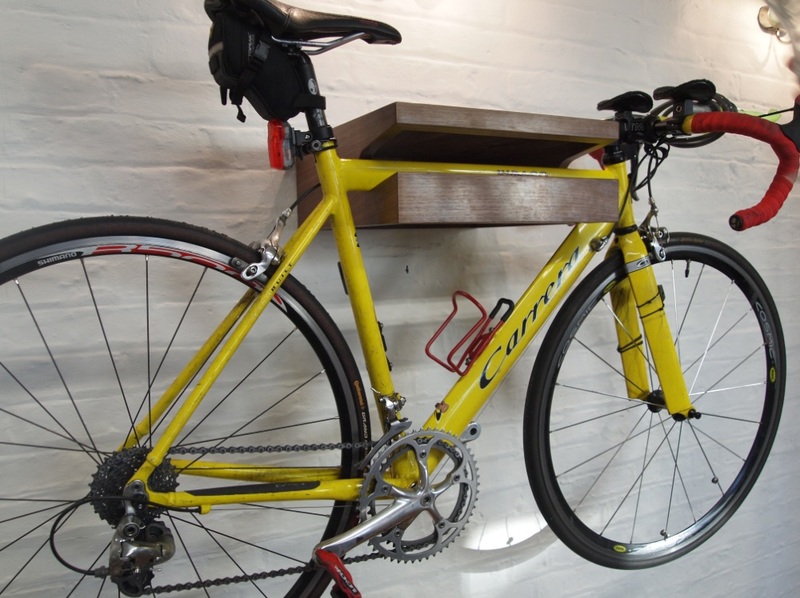 Each Bike Shelf is manufactured lovingly by hand in our Shoreditch workshop from solid walnut.